Partly outfitted hull launched in April 29, 2016 at Nauta. On 29 April 2016, Newbuilding Division of Nauta Yard launched a partly outfitted hull of a fishing vessel to be named Kings Cross. It was the second launching ceremony at Nauta this year and the fifth for a Dannish client – Karstensens Skibsvaerft AS. Nauta signed this contract in October 2014. The vessel was ordered as one in a series, which is not common situation in the current shipbuilding market. Nowadays shipowners tend to order single units mostly. Launching of the hull for the second vessel of the series (tbn. Pathway) was scheduled for June this year. 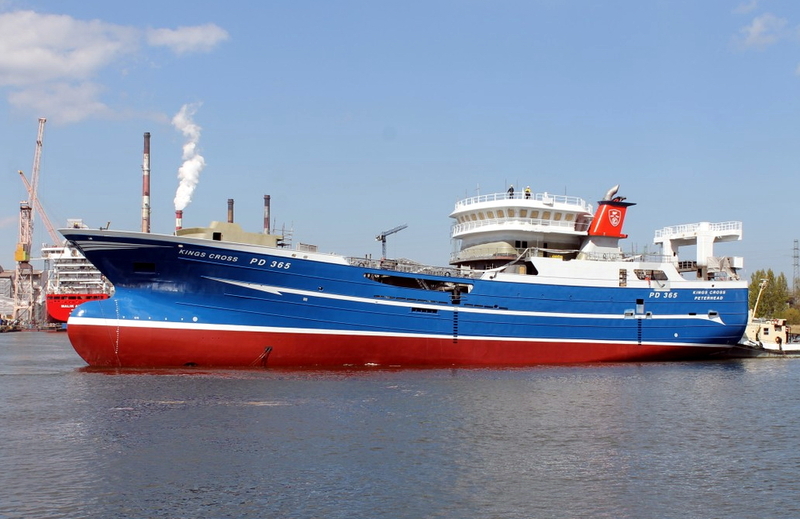 Kings Cross is 78 m long and 15 m wide, with depth to the main deck being 6,5 m. This is a modern fishing trawler. This kind of vessels is equipped with steel tanks for storage of life fish. Electronic devices such as sonar will increase the efficiency by locating shoals, assessing their size and planning optimal route. 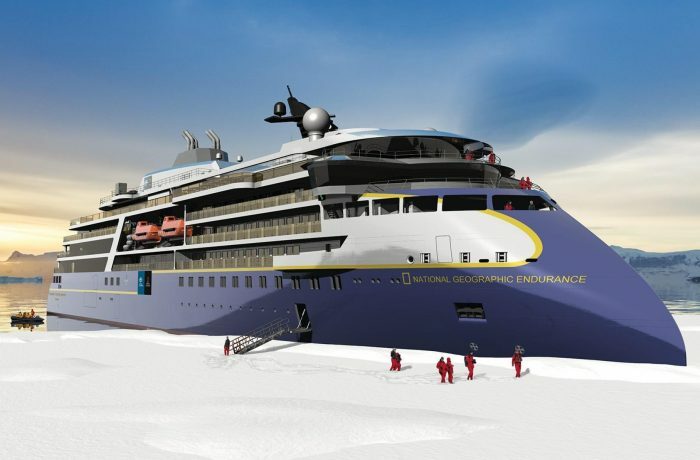 Recently Nauta has also signed another contract for the construction of a partially outfitted hull of a fishing vessel. 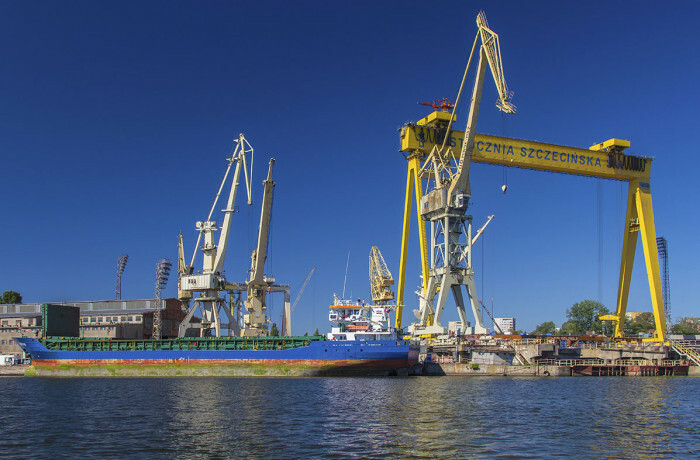 The contracted hull will be nearly 52 m long and over 11 m wide, drawing 4.9 m. In 2013 Karstensens Skibsvaerft AS and Nauta started the cooperation and since then, the shipyard has already signed contracts for the construction of 12 hulls. 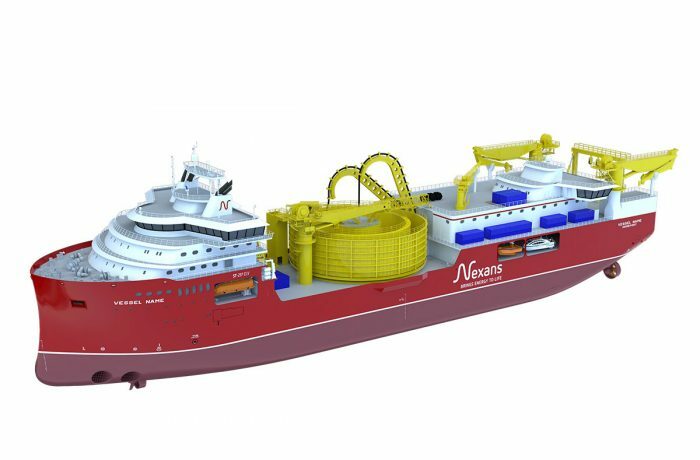 Nauta has already launched five of them and another unit are under construction. It’s worth mentioning, that just a few days earlier Nauta began construction of a fully equipped fishing trawler for a Scottish shipowner.